Since your energy is directed by your mind, it's an interesting fact that it's the 1st step that most people miss; setting a goal that strengthens your character and delivers the lifestyle you really want. Stress isn't the only mainstream killer in our modern day lifestyle. Creating a meaningful purpose that challenges you to grow and "step up" drives your focus inward to build capacity and harness your mind. In my practice I see more and more people complaining about chronic pain, who are harboring deep resentments against the people, situations or systems they find themselves trapped in. As their mind darkens with pain or resentment, their energy does too. It's a common mistake to hold others responsible for one's lack of happiness, freedom, money or fulfillment. It's a tough situation, especially with age, as arthritis sets in, freezing the physical range of motion as surely as neural networks entrench into mental limitations and frayed coping mechanisms. Many young people have another issue, that comes from the same root (stress and lack of meaningful purpose). It tends to show up as depression, lethargy and a conscious awareness they don't know how to focus or feel balanced. The cure lays with integrated practices that focus first on strengthening the body, which builds confidence and trust (trusting yourself). With increased confidence, it's more enticing to look within and "dare to dream". By setting goals, even small ones and achieving them self esteem unfolds which builds trust and brings even more confidence. Especially if there is a new skill or activity involved. It's important to keep it real and start where you are. Releasing stress by restoring "Water Up / Fire Down" energy condition, becoming more active or eating healthier can be important first steps. Soon after, if you continue on the path of guided introspection, deeper yearnings start to surface... such as improving relationships, taking on leadership roles or even spearheading a new business or social enterprise. It's amazing how quickly and completely transformation take place by focusing on one's inner game this way. The simple truth is, energy is power. It's also neutral, and goes where it is directed. "Where mind goes energy flows". It's happening all the time whether consciously or buried under layers (of busy-ness, fear and confusion) on deep subconscious realms. Think of your mind as heaven (the energy of the sun) and your body as earth (physical, material plane) By harnessing your mind and building energy into a strong physical foundation, you generate power and can learn mindfulness methods to direct it efficiently with less effort expended. This is the essence of Tao Training practices. In true form it includes Meditation, Brain Education, 5 Element Theory, Chakra Training & Meridian Exercises as well as Qi Gong, and elements of Martial Arts. Qi Yoga and Qi Gong practices are not complete without the philosophy and mindfulness techniques that integrate it all together. There's a depth underlying these integrated movements that brings true Mastery of the cosmos, and alignment with Universal Laws. Only by regularly releasing the burdens of your daily tasks, the endless chatter on the surface of your mind or the constant demands to meet the needs of others, can you return to the present moment to empower your inner essence and grow your "circle of Influence". It’s essential to take time, turn your mind inward and awaken that deeper connection to the rhythm of life and your essence... your true nature. To find someone who can effectively guide you step by step for deep physical, emotional and spiritual integrative transformation is rare and a golden opportunity. In the New Year I'll be treating you to a perfect opportunity to join a 3 part masterclass. It's complimentary, I'm inviting you as my guest. It's a unique masterclass where I will guide you through practices and principles step by step to relax, rejuvenate, strengthen your character and empower your core. I want to know how I can help you! What are your 2 biggest challenges? Staying positive, and having discipline to follow through with what my being needs badly, regular exercise and meditation. Hi. I’ve found out yesterday that I need back surgery. I’ve had back challenge s since September of this year. 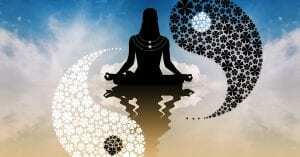 Can I still do Qi gong? I have been having back spasming when walking or standing. Also, can you assist in increasing telepathic abilities? I’m very good at this now but wonder if there is more I can learn. Do you do home visits? I’m in Nanaimo. Yes, my Qi Yoga Classes and programs do develop the 6th – 10th senses. My studio is in Courtenay… All my programs are available online – so I do “online home visits”.